NOTE: A more recent version of this guide is available here. For the Excellent Intel Gaming Build build we selected the Intel i5-7600k as our processor. To cool the i5-7600k while overclocking we selected the Cooler Master Hyper 212X dual fan cooler. This version of the cooler is the successor to the wildly popular Hyper 212 EVO is an excellent choice for our build aesthetically and will keep the temperature of the CPU cool while overclocking. To allow overclocking on the processor, we set the parametric filters for ATX motherboards that support up to 64GB of DDR4 memory, six SATA 6Gb/s devices, multiple expansion cards, and crossfire or SLI functionality. With our increased budget we selected 16GB of RAM. The parametric filter finds the best price on 16GB kits of memory that are within Intel’s recommended specifications. Using the parametric filters this build will incorporate an SSD with at least 500GB of space and a minimum 3TB of mechanical storage at 7200rpm. On a budget of roughly 1250 dollars we decided to go with an excellent graphic card. The Nvidia GeForce GTX 1070 TI is one of the single best cards on the market right now. At 1080p or even 1440p you will not have any problems with AAA games and the 1070 TI is perfectly suited for VR gaming as well. When using a 1070 TI you should consider stepping up your monitor to a 120/144hz screen for the best gaming experience. All of our components are housed in the Cooler Master MasterBox Lite 5 RGB. 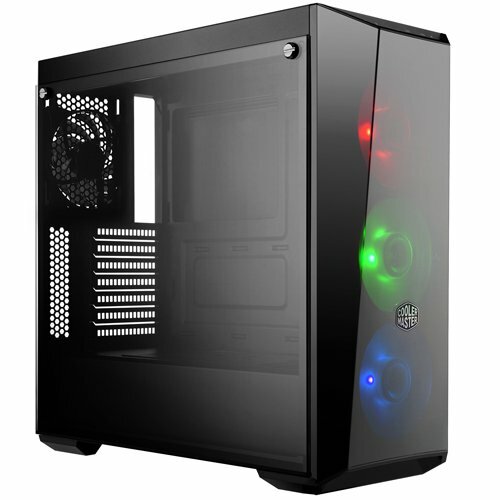 This case has a nice black finish, a large tempered glass side panel window, power supply shroud, room for enthusiast CPU coolers, watercooling radiators, three RGB fans, and front panel USB3.0. For our power supply, we're using a parametric selection of well-reviewed fully and semi-modular units, all of which are 80+ Gold certified and provide more than enough power for this system while at stock clocks or overclocking. 1 additional EPS power connector is needed. I think this should be updated with the faster i5-8400 or i5-8600K. I think you need to change your parametric filter for the motherboard and delete the crossfire like the motherboard it suggest is the Gigabyte - GA-Z270P-D3 which isn't sli compatible. also I am looking to upgrade my build this because i have a I5 4690k on a H97 motherboard because i damage my last z97 board and also I got a Gksill 8 GB DDR4 2400 kit that i bought early last year when prices was normal in expectation to upgrade to skylake but i lost my income. 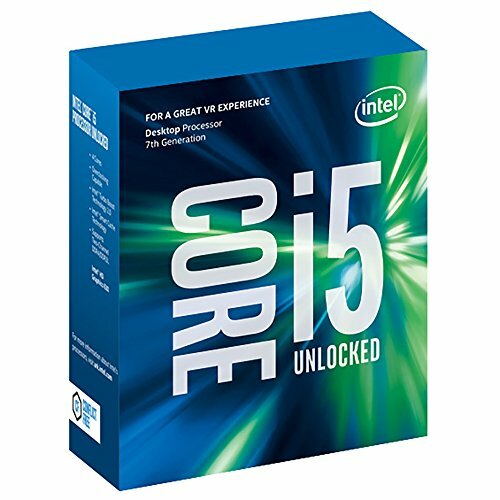 Is a I5 4690k to 7600k build worth it. I have a somewhat good case the corsair 100r windowed and evga supernova nex 650 watt power supply and a Adata 256 GB SSD. I just need more storage becuase i only have a Western Digital cavair blue 500 gb hard drive and looking to upgrade my 960 2GB to a 1070 or 1070 ti for plans fpr a 1440p monitor. Upgrading from the 4690k to the 7600k is a SMALL upgrade, but it is quite doubtful that you'll notice the increase at all. The only thing that could be noticeable is if you do the upgrade and add an M.2 NVME SSD as they are insanely fast. But overall the 4690k is still a very good CPU and you should be fine pairing it with the 1070 or 1070ti. I already have a PCPOWER AND COOLING silencer 750 watt power supply, Samsung 850 EVO 500 GB SS drive, and a coolermaster hyper 212 plus cpu cooler. I have no real need for more storage in my hard drive and I have a great all aluminum windowed case now. I never overclock and always go with a single good video card. Is there a cheaper solution for a single card motherboard that would be compatible with the rest of your recommendations on this build? Also could someone give me a good recommendation for a good quality 1440 monitor for under $400 and 27 inches or so? Asus or MSI for non-overclocking have worked well for me so far. I tend to lean with MSI for my own reasons, but that doesn't mean they're the highest quality board either. But they get the job done for a single graphic card solution. I'm currently using MSI's B250 mATX, as I don't need more PCIe slots and don't overclock. I've typically leaned with ASUS for HD monitors. You'll have to look around, compare prices, reviews, etc. I am looking to build this for my first ever PC build. 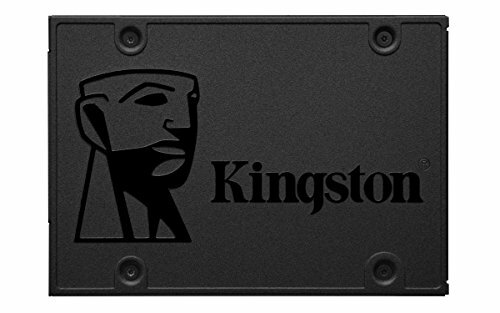 Would there be any issues if I removed the HDD and just purchased the SSD? No, but you’d be tight on storage. anyone know how long it takes amazon to get graphics cards back in stock? ive been waiting for a bit now, and this is the best 1070 at its price. everything else is 500 and up. Be prepared to wait at least a week for them to get any card in stock with Amazon (not a third party seller who jacks up the price). Then add at least another week for it to actually be shipped. 3 weeks typically until you have it. That's just how it is right now, unless you go to other sites such as B&H (based in NY), which typically has them in stock at Amazon Warehouse prices. In fact, that might be the best to get one sooner than 3 weeks at this point. actually, they are also backordered. I'm checking every day and then getting it once one is available. But I am worried they are going to jack up the price, considering other 1070s at the moment. I skipped Amazon because of the re-seller "spam" that's essentially going on and ordered with B&H. Even if it's coming from the East Coast and I'm on the West, they offer free expedited shipping which translated into five business days. I had previously pre-ordered through Amazon, and 2.5 weeks later I'm still getting delay after delay in "shipping issues". I haven't canceled the order just to see how long it takes Amazon to get it to me out of curiosity, even though I've already got another card now from B&H. When it arrives, I'm returning it and cancelling my Prime membership since I only use them for PC components. As of now, that site and Newegg are more expensive or simply constantly out of stock. Even if you have to wait for B&H to get it in stock, I bet it'd take less time than paying a much higher price with Amazon. That's just a guess, but from what I've experienced so far, seems to be the case. Yep, if it doesn't restock in the next week I'm going to B&H. they seem like they actually care about their customers. In my opinion, they will make sure what you buy is a fair market price and will be shipped without re-seller prejudice. You'd do well to go with B&H. I bought the ASRock Z370 Pro 4 and i also notify that it isn't compatible with the RGB light of the fan in the case, so the light don't work. Do you think I can replace this GPU to either ASUS NVIDIA GeForce GTX1070 OC 8G or GALAX GEFORCE GTX 1070Ti? I have the same CPU-GPU combo. Did you experience any bottleneck running at stock speed? "On a budget of roughly 1250 dollars we decided to go with an excellent graphic card. The Nvidia GeForce GTX 1070 TI is one of the single best cards on the market right now"
I don't know how you pulled it off to have a price that low while there is a 1070ti in there. I have a simular list of parts which is a little bit cheaper but is uses a 1070ti FE, of which the prices didn't skyrocket. But I guess mine is a little bit faster because it has a 8600k in it and not a 7600k. But still, this would be a pretty beast system. Hello guys,I really don't know about building pc's and that stuff...My mom and dad told me that in march they are going to buy me first gaming PC.I wonder now that i would like to have 60+ fps in all games,but to have graphics higher than medium(or medium).On my PC I am playing all games on low graphics with 5-10 fps...I have budget of 1000-1500 euros and I wonder is this the best build out there,and I would like if you could suggest me some parts if there are better but not to go over my budget...I am not looking for beast,just so i can play all sort of games with 60+ fps and declaring the enemy and house..(I am also wondering when i get all these parts,are this parts all that computer needs,or I need to have something more)...If you know anything to help me please reply.Also look at this Build and which is better? (Also look if I can get some better parts,or that i7 that everybody says is way better,I am really outdated....)https://it.pcpartpicker.com/guide/rhrxFT/enthusiast-intel-gaming-build.Thank you! I’m trying to switch to pc, is this the best pc for me. Also how much storage can it take maximum? I would suggest changing the ddr4 ram to at least 2400 if your gonna game for anyone looking at this build. Also, I would go for the locked i5 from coffee lake, cheaper and awesome performance. These are my thoughts though of course and I can see why you would go for the i5 7600k 4 core processor over the i5 8400, but c'mon on the ram. We don't recommend the 8400 as there is almost no stock and you are forced to use Z370 which leads to increased motherboard costs on a locked processor. Ram on the 7 series intel doesn't scale that well with frequency and with the inflated costs right now the money can be better allocated. what made you switch to the 1070 these past few builds? Due to GPU shortages we had bumped up the price point on the guides. With them settling we have moved the budget back down. 2400MHz RAM doesn't necessarily perform "better" than 2133MHz. It's about the latency/timings that matter. And even at that, they're minimal in real-world gaming experiences. Now if someone is doing 4K gaming/streaming, they're actually going to want to go higher at 3200MHz to really see a difference in real-life gaming experience. There are benchmark videos on YouTube and numerous forums that discuss why this is. I always suggest you do the research on the facts involving RAM frequency vs latency. Higher frequency doesn't mean "faster" gameplay across the board. There's many more factors involved than that, not to mention the motherboard one is using.